I created this image to introduce upcoming game photos on Instagram. 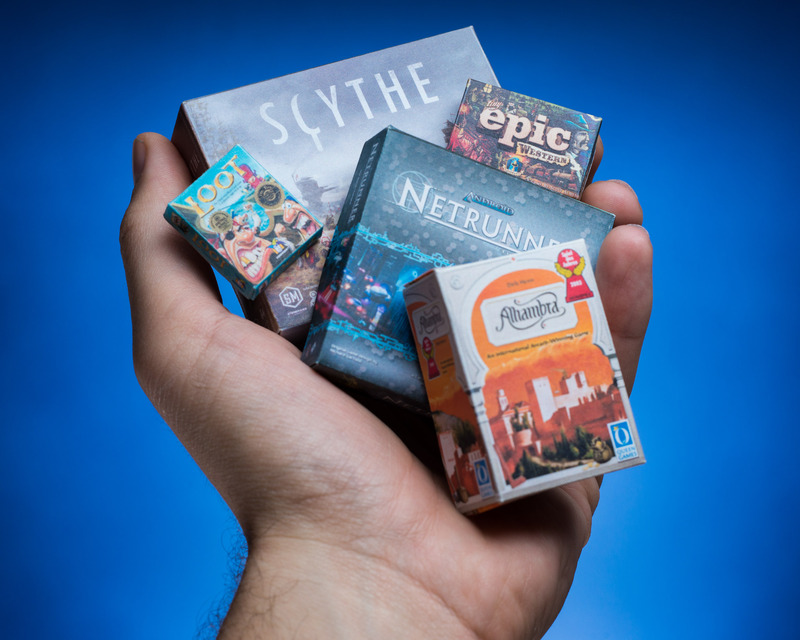 The idea for this photo started out as a way to show what I played at Dice Tower Con 2017 — I was going to create small boxes for all games played and have them laid out on a table. Well, time dragged on and a few months went by and I thought it was too late to share what I played at DTC so I made it a forecast of game photos I would be taking and sharing soon.